Great Spirit who sends the wound sends the medicine. Medicine is derived from the Latin ars medicina, meaning the art of healing. When the term “medicine” is mentioned, many are triggered to think about our Western medical profession. Western medicine includes the science and art of diagnosing, treating, curing, and preventing disease, relieving pain, and improving health. A large part of the practice includes medicine that medicates the patient, also known as drug therapy. However, there is another perception of “medicine” that originates from Native American culture. From this perspective, medicine is any object, spell, rite, or anything at all, really, that has natural or supernatural powers as a remedy, preventive, or protection. 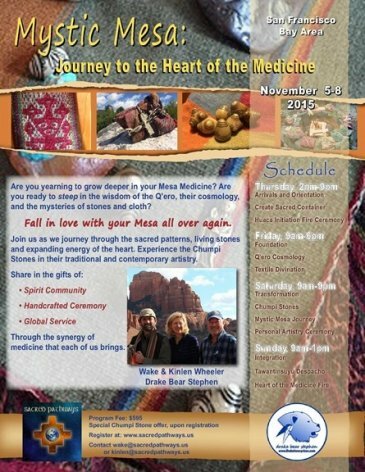 This form of traditional medicine (aka indigenous, folk, complimentary, or alternative medicine) comprises knowledge about plant, animal, and mineral-based medicines, spiritual therapies, and manual techniques that have been developed over many generations. According to Native American beliefs, medicine is an inner power that is found in both Nature and all individuals. Annie Spencer defines Native American medicine as "a state of being in harmony and balance with ourselves, the world, and with Spirit." Medicine is not just a pill that can be taken to treat symptoms, but it refers to anything that promotes goodness or healing. Common medicine can include plants, healing techniques, teachings, and spirituality. The simplest definition of medicine, then, is anything that is good for you. Native Americans also call the individuals who provide this medicine as “medicine men”. Their role is similar to that of shamans. However “shaman” is a term that is from Siberian/Mongolian indigenous culture while “medicine man” is unique to North American indigenous culture. Sadly “medicine man” is a term that excludes more than half the population. There are very powerful “medicine women”, too. And there are also Two Spirits or Third Gender individuals who quite often had been the “medicine people” of the tribe. So the term “medicine man” is just too narrowly defining and perpetuates a non-existent belief of a binary gender system. I propose changing the terms to “medicine carrier”. Quechuan is the language of the indigenous people of the high Andes of Peru from whom a lot of my spiritual study has been with and about. The Quechuan term for medicine carrier is “collawaya”. A “healer” does not heal. If a healer tells you that they can, then they are speaking from Ego. Every individual soul heals itself. 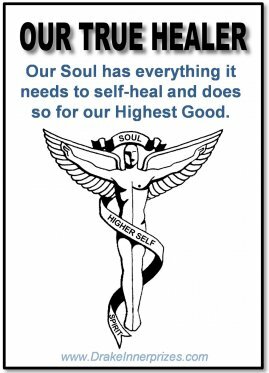 Our souls are our one true healer. Our Higher Self has all the knowledge and resources needed to heal the physical body for its Highest Good. It is the function of a medicine carrier to carry the medicine to the client. In Reiki, the practitioner is a conduit through which universal energy is passed to the client. In shamanism, the practitioner is called a “hollow bone”. It is not the practitioner that is healing the client, but the practitioner’s healing spirits work through the practitioner to assist the client’s healing. 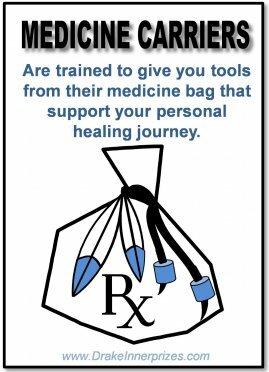 Medicine carriers have many different tools in their individual medicine bags. Someone who is searching for assistance should research the available options and then choose the tools that most resonate or feel right. It is not uncommon to pursue many different options over the course of a lifetime because each alternative addresses specific issues. 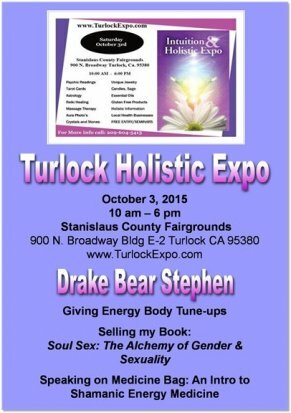 We are “holistic” individuals therefore we should treat ourselves with “holistic” solutions. Western medicine has made incredible advances in healing the physical body but they only look at a portion of the entire picture of the human being. They routinely exclude the energy body and all spiritual aspects of the soul since these are not something that can be “proven” in a lab setting. Eastern medicine is very balanced in its approach to healing including not only treatment of the physical body but focusing largely on the energy body. I know when I am in pain, I want to have my entire being treated, including body, mind, and soul. I don’t just want the symptoms treated but I want to understand the core cause of my suffering because it’s a soul lesson. So I will go to my Western medical doctor but I will also seek out assistance from medicine carriers. There are a few questions you can ask to determine if a form of medicine is good for you. For instance, “does it grow corn?” This question is rooted in Native American philosophy. It means that if what you are doing isn't making your life and the lives of others around you better, then why do it? “Corn” is an English word that means "ears of growth”. Corn is a symbol of sustenance and survival. 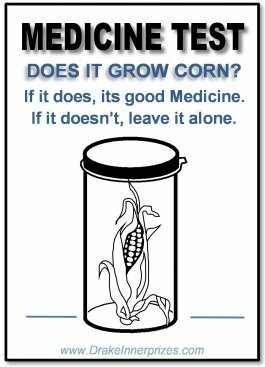 So ask yourself when you are about to take some medicine, “does it grow corn?” Will it provide healthy growth? Will it contribute in a positive way? Will it provide results that support your Highest Good? If the answer is “yes”, it is good medicine. If the answer is “no”, leave it alone. Sometimes, when emotion and ego interfere with receiving authentic answers, we need to step back and get a bigger picture of the situation. Distancing ourselves emotionally can provide more clarity. Other techniques to aid in providing an answer to “is it good medicine” is to do muscle testing or use a pendulum. These techniques make it easier to tap into our unconscious which really holds all of the drivers of our behavior. Lastly, when we experience those times when we feel lousy, when something hasn’t gone the way we wanted, or we feel something “bad” has happened to us, if we tell ourselves that it was just “good medicine”, then we can accept the experience as necessary for our soul’s growth and heal on… This also helps us move from victim mode to a place of self-empowerment. 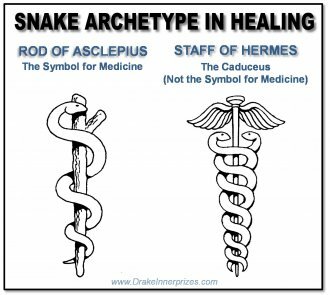 The symbol associated with Western medicine is the rod of Asclepius, the image of a single snake wrapped around a staff. Asclepius is a Greed deity associated with healing and medicine. The incorrect symbol often used to represent Western medicine is the Cauceus, which is the staff of Hermes. It was carried by the Roman deity, Mercury, the messenger of the gods and guide of the dead. The staff of Hermes has two snakes and a pair of wings. Snakes are a predominant archetype associated with healing and energy movement. In the Andean energy medicine tradition, the healer uses the archetype of sachamama, the snake, to track energetic blocks and dis-ease in the physical body. In Ayurvedic medicine there are snake-like energy pathways called nadi. Two of these are the pingala and ida, which flow along the spinal column. 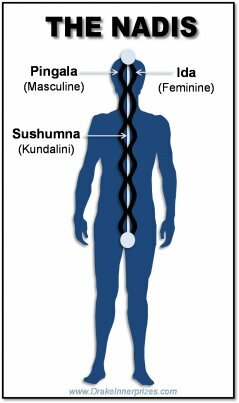 A third major nadi, the kundalini, sits at the base of the spine like a coiled snake, until it is stimulated through tantra or yoga to rise up the spinal column. Snakes, then, are also medicine carriers in many cultures.